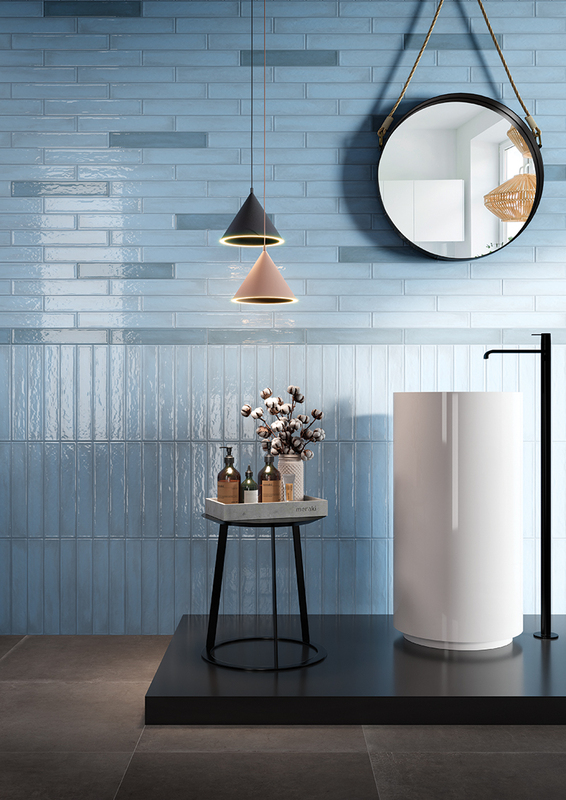 From 28 January to 1 February, we’ll be at the 2019 edition of Cevisama, the Spanish trade fair dedicated to the ceramic tile and bathroom furnishing sector. Once again, Valencia will be hosting what has again proved to be one of the most important events dedicated to the world of architecture, interior design and decoration for indoors and outdoors. The undisputed star of the show in our exhibition space – on Level 3, Pavilion 1 – Stand B45 – will be material, with a rich variety of collections on show, featuring porcelain stoneware tiles that offer an original mix of creativity, traditional and on-going experimentation. 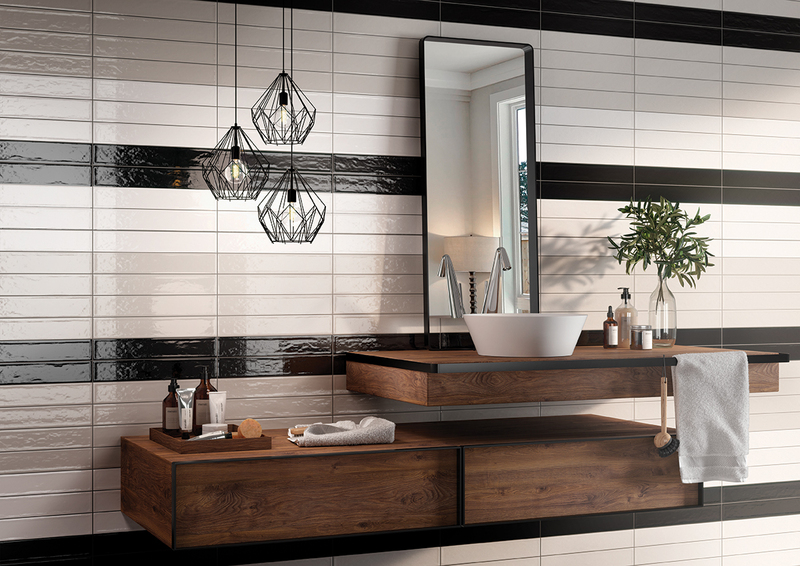 One example is Mediterranea, a collection in the new 6.1x37 size with the characteristic appearance of majolica tiles in a no-frills style, teaming all their traditional allure with strikingly modern, on-trend colours. The numerous graphics available, the brightness of the surfaces and the different textures that characterise the collection make Mediterranea the ideal solution for shaping extremely sophisticated settings, both residential and commercial. Drawing inspiration from the same material is the Le Ciprie collection, ready to amaze with its original, extra-glam, classy take on plain-coloured majolica tiles. The polished surface and the various textures that characterise the product bring a rich variety of appealing nuances, making the collection ideal for prestigious residential and commercial solutions. 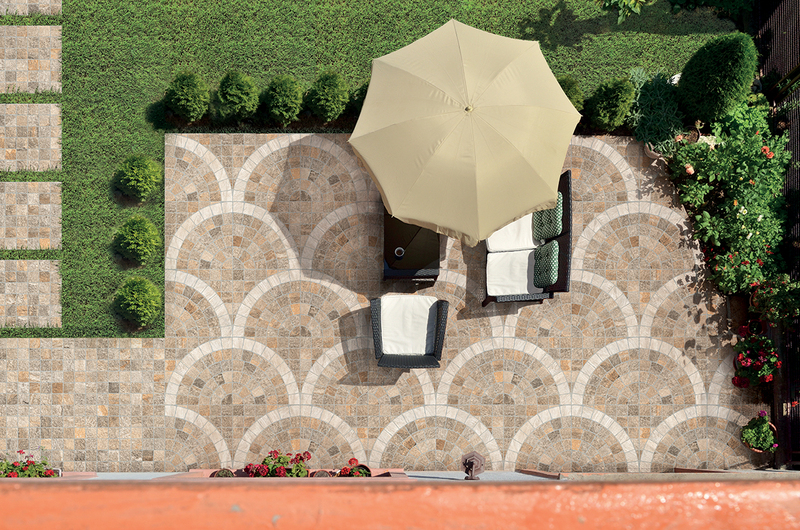 The Spanish event will also offer an opportunity to present the Valeria porcelain stoneware collection dedicated to outdoor paving, a splendid new addition to our H20 project. Inspired by the ancient Roman consular road founded by Marcus Valerius Laevinus that ran between Messina and Lilybaeum, the series is reminiscent of the classic porphyry “sampietrino” cobblestones, on a 2 cm thick 60x60cm stoneware slab, suitable for an endless variety of solutions for paving large public, residential and commercial areas. Finally, the Valencia event will also offer the chance to take a closer look at Oxyd, the splendid new laminated-look porcelain stoneware available in 6 colours and 5 sizes, including the new 6.1x37 listel tile, perfect for strikingly elegant coverings.